Jennifer Hudson Sings ‘Amazing Grace’ at Aretha’s Funeral, Moves Crowd to TearsGrab a tissue. Jennifer Hudson and Kelly Clarkson Will Both Judge The VoiceIt’s like an American Idol reunion but with spinning chairs and Adam Levine. Watch Jennifer Hudson Sing Her Favorite Lyric From Hairspray LiveThe star sings “I Know Where I’ve Been” and talks about playing Motormouth Maybelle in the show. Jennifer Hudson to Join The Voice As a Coach Next SeasonYour move, American Idol. 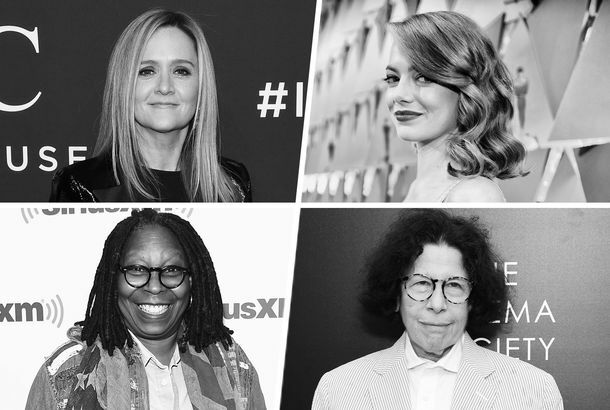 25 Famous Women on Quitting or Keeping Your Day JobEmma Stone baked dog treats. Fran Lebowitz drove a cab. Nancy Meyers made cheesecake. Jennifer Hudson’s Son Can Dance Exactly Like Michael JacksonHe gives Mariah Carey’s son a run for his money. Jennifer Hudson Had Hairspray Live’s Best MomentTo no one’s surprise. Jennifer Holliday Is Joining The Color PurpleA new Shug Avery’s coming to town. Watch Prince Tributes at the BET Awards Prepare to weep purple tears at these harmonies. Why Jennifer Hudson Isn’t Too Surprised She Got Snubbed for a TonyFor The Color Purple. Jennifer Hudson and Her Tulle Had the Best Time at the Met Gala Just a gal and her Met Gala gown. J. Hudson, H. Fierstein in Hairspray Live!Martin Short and Derek Hough also signed on. Watch The Color Purple Cast Sing ‘Purple Rain’Do they give Tonys for tributes? Beyoncé, Madonna, and More Send Out Insta Love to PrinceBeyoncé, Madonna, Mary J., Jennifer Hudson — they’ve all done duets with him. Jennifer Hudson Channeled Beyoncé and Aretha Franklin at Karaoke NightShe and The Color Purple cast went to an East Village dive. Every American Idol Finalist, Ranked From Worst to BestFrom Justin to Kelly, and 14 (!) more seasons of belters. Jennifer Hudson Wore Double DenimTrue blue. Solange and Drake Partied Hard This Week Along with DVF, Christy Turlington, Jennifer Hudson, and more, in this week’s party roundup. Party Pics: Post-VMA Bliss and Lots of ChampagneThe worlds of music, fashion, and tennis collide. A Theory on Why MObama Got Herself Some Bangs Is she hiding her brows while they grow out to a Brooke Shields–like fullness? Project Runway Recap: ‘Go and Fly!’In which Tim weeps with joy. Smash Casts Dreamgirl as Jennifer Hudson’s MomSheryl Lee Ralph joins the show. Nordstrom Picks a Manhattan Location; Is Yohji Yamamoto for Sale?Plus, Natalia Vodianova covers Jalouse. Jennifer Hudson Signs On For SmashShe’ll shoot several second-season episodes. Today on Vulture Recommends: Nitsuh Abebe’s Songs on RepeatIt’s been too long since music critic Nitsuh Abebe last weighed in on the songs haunting his brain. American Idol Recap: Watching From the Sky Does Not Make It BetterJennifer Hudson and James Durbin stop by. No one acknowledges that neither won their seasons. Hear a New Trey Songz Song, ‘Heart Attack’Finally, Trey Songz weighs in on Gallagher. Hear Jennifer Hudson’s New Single, ‘Think Like a Man’Steve Harvey never would have imagined his book to inspire such a red hot jam. Or maybe he did. He is Steve Harvey, after all. Watch Mary J. Blige, Jennifer Hudson, and Kelly Clarkson Sing an Awesome MedleyIt went down at VH1 Divas Celebrates Soul. Jennifer Hudson Made a Bold Statement in PastelsThigh-high Francesco Scognamiglio boots! Kelly and Mary and Florence, among others.